Now even more awesome. Incredible build quality, incredible output. For modern 6V Dynamos of any brand. 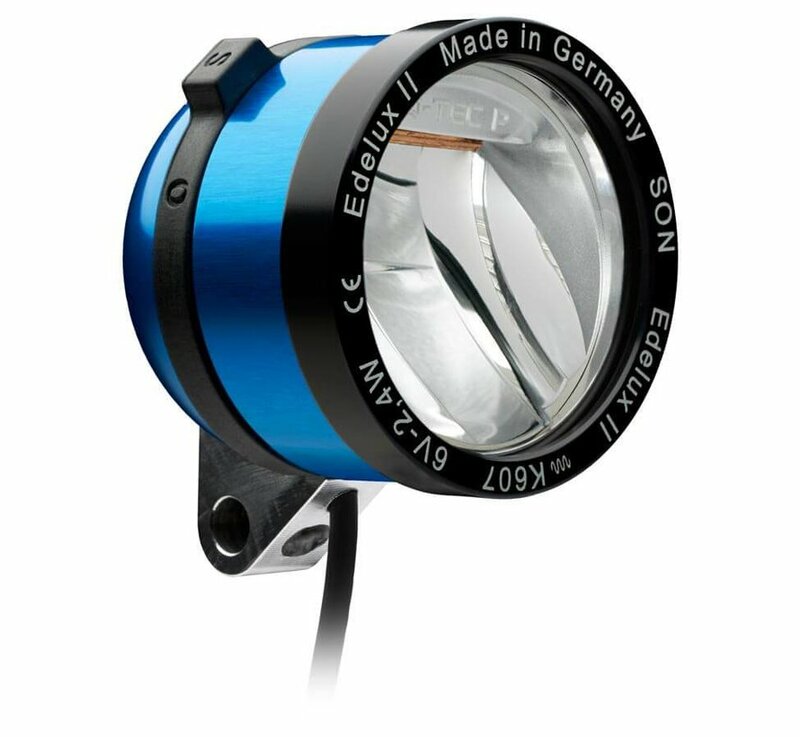 Lots of light perfectly well distributed on the road makes this light a rugged yet sophisticated choice for dynamo hub powered lights. A wide lightbeam, evenly distributed from near to far, provides the best view on dark roads. 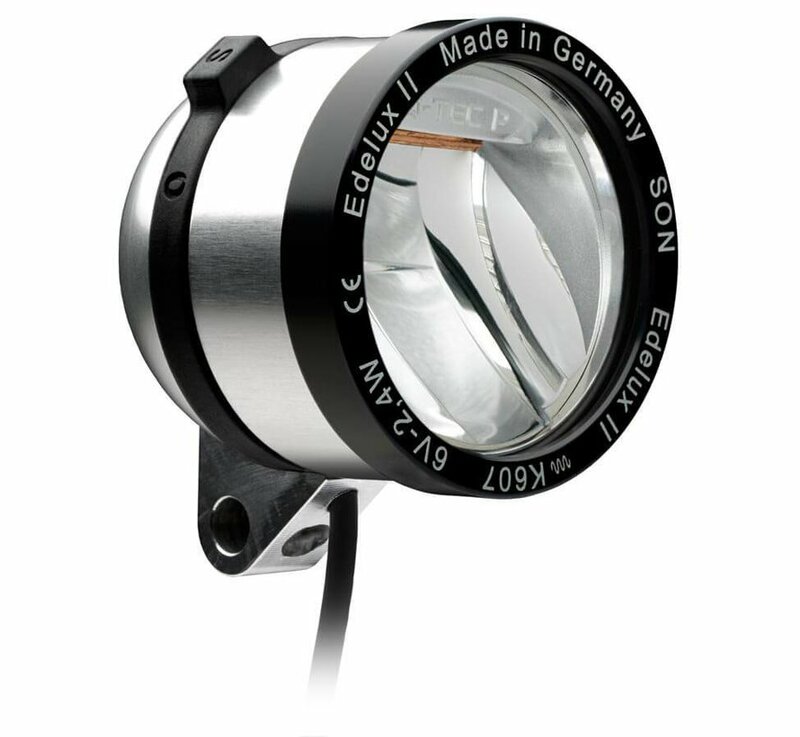 With an unequalled bright standlight, the metal housing is robust and ensures proper cooling of the LED. 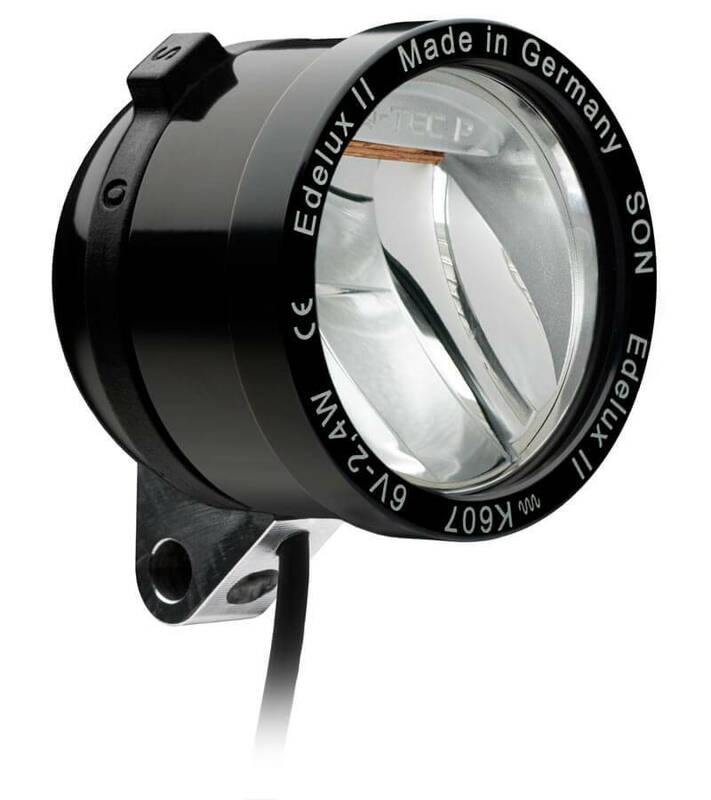 Standard Edelux II are designed to be powered by hub dynamos with 6 Volt AC output. 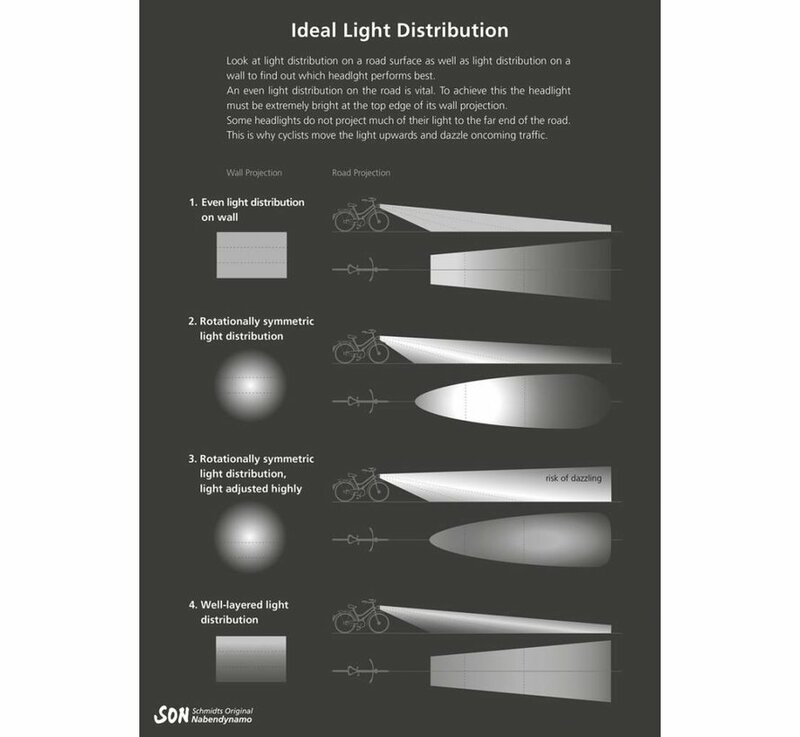 Even at a low speed you'll have uniform and flicker-free light. 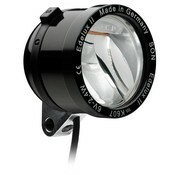 Illumination increases up to 100 Lux at high speed. 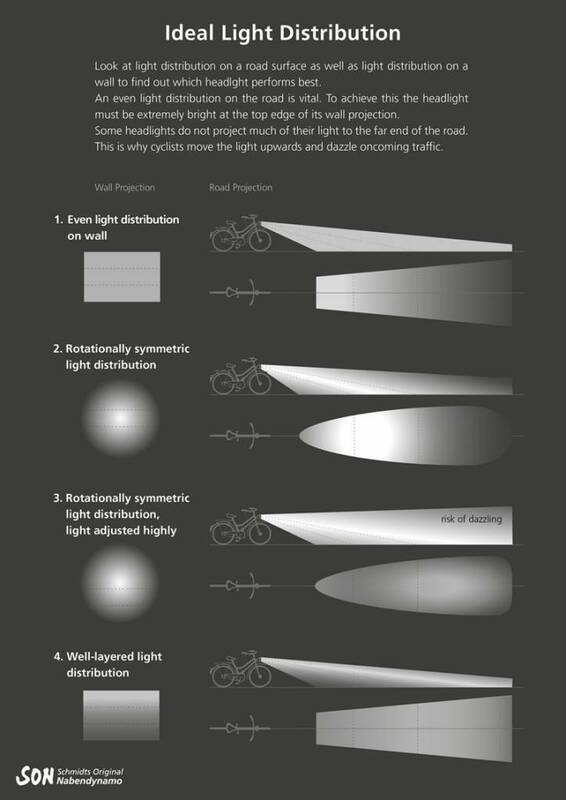 The standlight is very bright and so is of more use than just to be seen. It switches off automatically after 4 minutes. Standard Edelux II must not be powered by DC current (on e-Bikes; there is an e-Bike version of this light). The coaxial feed cable for connection on a hub dynamo is firmly soldered and potted within the housing. This helps to avoid vulnerable connectors. The rear light connects with a spade connector and a ring terminal. 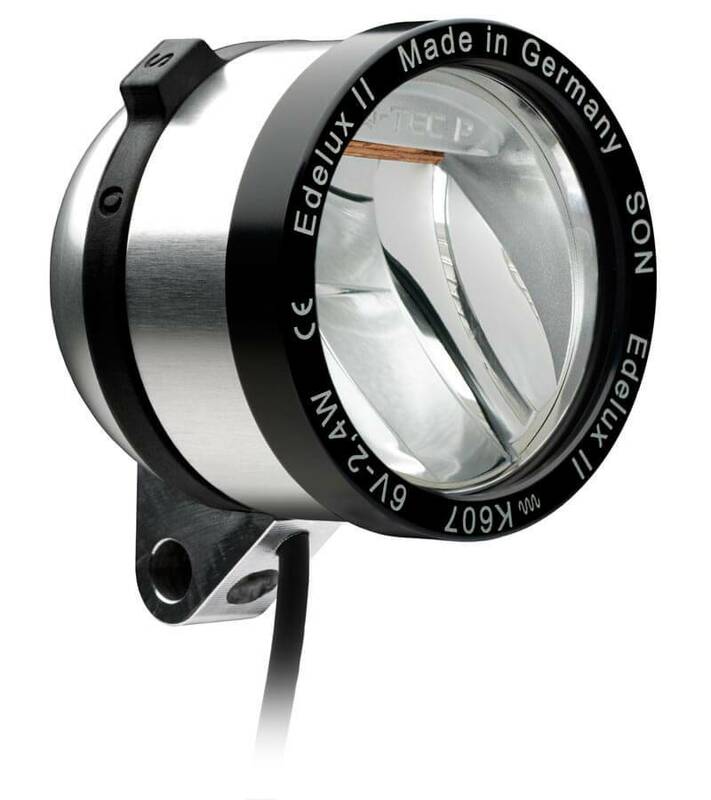 You may run the Edelux II without a connected rear light just as well. We order these with uncut 140cm wires for the most flexibility in installation.